Climate change is affecting far more than global temperatures. It looks like global warming’s impact goes far beyond simply affecting temperatures on our planet. A new study published in the journal Science reveals that global climate change has already altered genes and entire ecosystems — basically every aspect of life on Earth. It’s the kind of change that no one expected to have occurred in such a short amount of time, according to co-author James Watson from the University of Queensland. Watson worked with researchers from 10 countries, with University of Florida assistant professor Brett Scheffer leading the team. The study found that more than 80 percent of ecological processes already exhibit reactions to climate change. These processes form the foundation for healthy marine, freshwater, and terrestrial ecosystems. “The impacts of climate change are being felt with no ecosystem on Earth being spared,” Watson explained. Climate change cannot be more real than this. Not only is it affecting global temperatures and weather systems, but also the planet’s ecosystems and the biological makeup of its inhabitants. The authors assert that ecosystem changes affect human beings as well, with increased pest and disease outbreaks and unpredictable consequences in agriculture and fisheries. This adds perspective to the way we should work towards mitigating its effects and limiting our contribution to the problem. 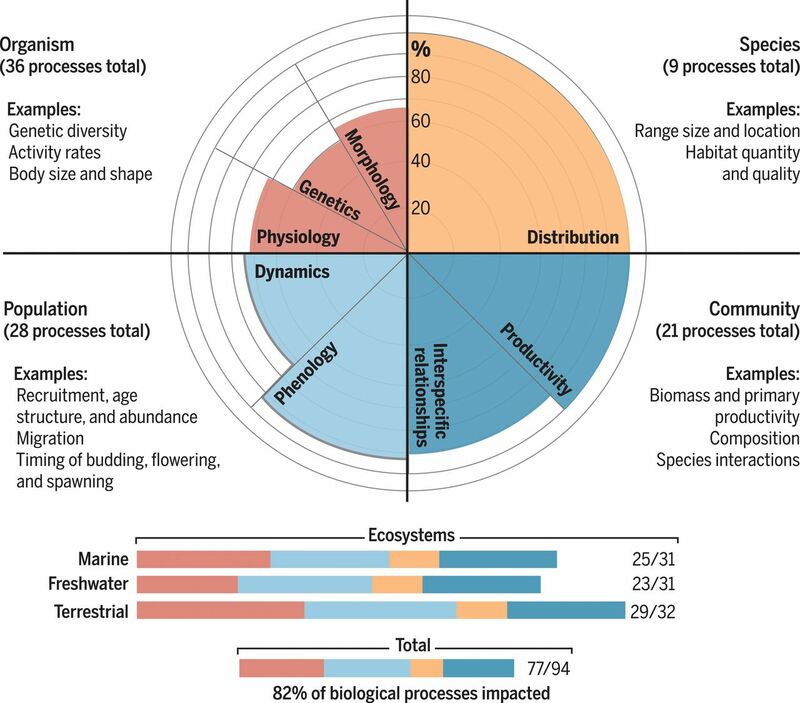 “In addition to reducing greenhouse gases, climate action and policy must therefore focus equally on strategies that safeguard biodiversity and ecosystems,” the authors believe. While we’ve already done potentially irreparable damage to our planet, it’s not too late to prevent the situation from getting worse.